This is an urn that is inspired by the Grecian designs and architecture and is shaped like pewter, making it a unique product when it comes to the various kinds of urns. 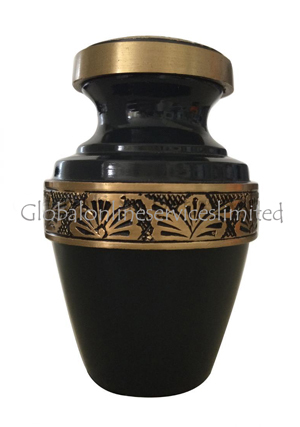 This urn has a matt black finish, and has a Gold Leaf design, thereby giving it a subtle and acquired great look. 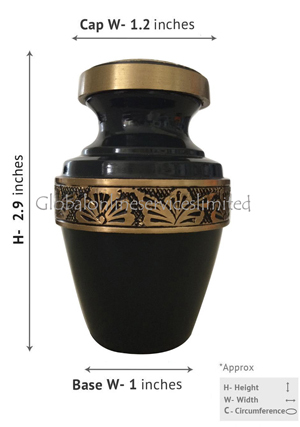 The size of the urn is about 2.9" inches in height. 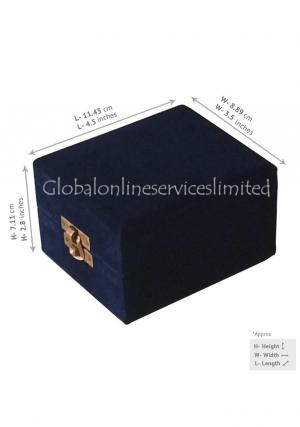 The Grecian rustic urn comes in a velvet box and use it for home decor. 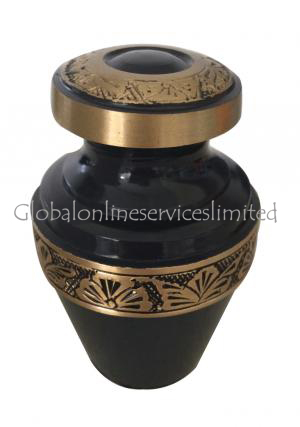 The urn is made-up of the best quality brass. 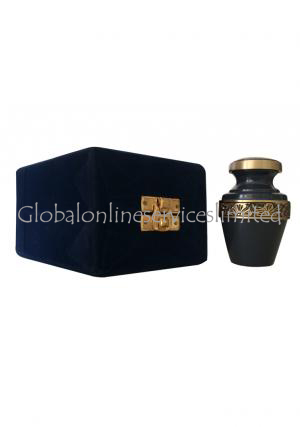 We offer best qualtiy urns with low prices and secured environment to make purchases. So our consumers can buy what they want at our website in a safe and hassle-free manner. We provide free shipping on our products within UK. 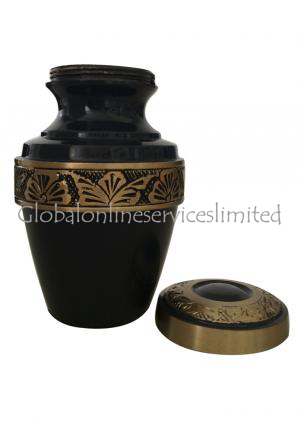 We also have a return policy for unused urns, if you received any damaged.